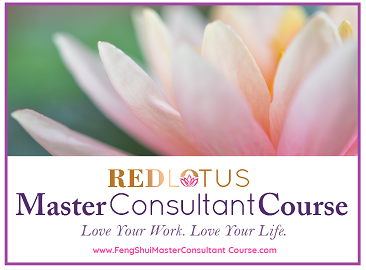 The bagua map that’s most widely used to apply to our home and to determine where our love, wealth, and opportunity or career sectors are can also be used to apply to the body. 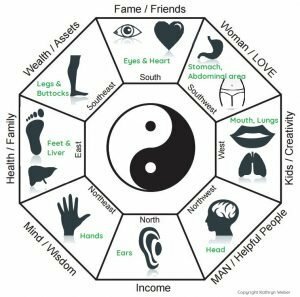 Each sector of the bagua corresponds to a portion of your body. When there are problems in a particular portion of your home, they can often times show up as a problem you have with your health. Each portion of the body has a corresponding element as well, such as wood for the feet or liver. If there is an element, such as an air conditioner condenser which is metal, comes in contact with the east corner, then there can be problems with the feet or ankles. Sometimes doing a little feng shui detective work can find problems with your health more quickly than seeing the doctor! Of course, all medical problems should be treated and this isn’t intended as medical advice but as a better way to understand how your health can show up in your life and how your health can be impacted by your home. It shows us, too, just how truly we are a part of our homes and how our homes can extend into our lives. Look for missing corners or elements that can harm the elements associated with each corner’s body part for clues as to what might be going on with your health. Whether you have sinus problems or migraine headaches, a good place to look for difficulties with your head is the northwest corner. Even psychological issues like worry and extreme stress can show up as problems with the northwest sector. This corner is destroyed by fire and weakened by water. Look at the areas in your home in the northwest corner. If you have either fire or water in this corner, boost the metal energy of the northwest by adding earth, which produces metal. This can be a crystal bowl, ceramic objects, or gems and crystals. Metal here will also perk up this sector. Problems with the ears can often show up as tinnitus, ear infections or allergies related to the ears. In Chinese medicine, it is thought that the ears are the external opening to the kidneys, and the kidneys fall along the same meridian lines as the ears. It’s no surprise, too, because the north corner of your home relates to the water element, and the kidneys are certainly water producing! The north corner relates to our income from salary or business, and problems in the kidneys can mean problems with money. If you find you are having frequent ear, kidney or bladder infections, this could be because there is a problem in the north corner of your home. This can also be a good place to look for depression or despondency. Large, oversized plants or wooden furniture in this portion of your home can drain the energy of the ears and kidneys as can large earth objects, like boulders or stone walls. To create more beneficial energy for your ears and kidneys, so add metal or water in the north sector of the home to help balance excess earth or wood located here. The northeast sector is a sector ruled by earth. It is often associated with the mind, thinking, learning and making smart decisions. This is also the sector that corresponds to the hands. Many times signs of dementia is seen in handwriting first, making the hands very important to thinking. Problems with the hands, like arthritis, is often associated with having excess metal or wood in the northeast corner of the house. A broken wrist or fingers can sometimes indicate a big decision that’s being put off. Try to bolster this corner of the house by adding light and red colors to nourish the earth energy of this corner, and improve your hand health and clear your thinking. Wood is the element associated with the feet and liver. A common belief in Chinese medicine is that anger issues can come up when the liver is out of balance. And, many times, problems show up in the feet and ankles as a sign of overall health, such as sores on the feet being a symptom of diabetes. Breaking an ankle or pain in the feet or toes can sometimes indicate a fear or stepping into a new way of being or taking a big step in life. If there is excess metal or fire, such as a fireplace in the east, add water here to control the metal or fire – and help the wood energy that will feed and support your feet or liver. Like the east, the southeast is also a wood element. This corner of your house is associated with your legs and buttocks. Having problems with legs and buttocks can range from injuries to varicose veins to sciatica. Also like the east, it’s a good idea to be on the watch for metal or fire here. 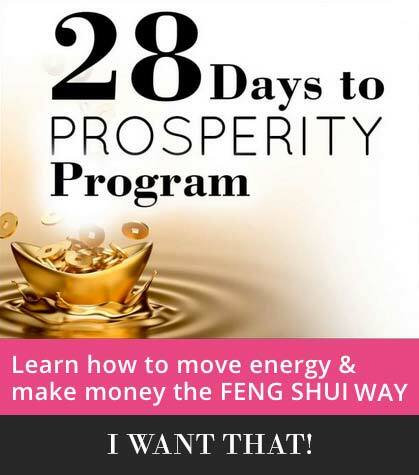 Those elements can create problems that show up in your life with ability to retain money, good investments and a growing savings account. Use water to help this part of your body. Blue colors, shells, and water fountains or features are all good ways to support the part of the body that supports you – and that builds your bank account. Fire is the ruling element of the south sector of our homes. When something is out of balance in the south corner it can show up as a problem with vision, eye infection, and problems with the heart such as arrhythmia or even heart attack. When water or earth are located here, health problems can ensue. Because this is the area associated with fire, other health problems can be low metabolism and lack of zest for life. Pep up your heart and outlook by adding colorful elements, bright lighting and red colors to the south corner of your home or living room to give your life more zip. Work on creating beautiful views in your home to lift your spirits and take in plenty of vistas and beautiful sights, such as visiting a museum. Seeing beautiful artwork or performances can be uplifting for both the eyes and heart. You can also wear red to help perk up pervasive blah feelings. The woman is the person associated with the southwest and, often, the one who cooks, so it’s no surprise that the southwest corner is the sector associated with the stomach. Because women give birth, it’s also the corner that represents the whole abdominal area including reproductive organs. But that also applies to men as well, irrespective of the ability to have children. Problems in this area are wide ranging, from constipation, to hemorrhoids, to hysterectomy. When this area is missing or has an excess of metal or plants, it can affect the stomach. For example, excess clutter in this area can result in problems with the elimination system. Keep this area clear and clutter free to help your stomach and abdominal area work more efficiently and effectively. Add lighting to the southwest corner of your home, garden or living room to boost your hard-working stomach and boost your abdominal region. In this metal-related sector, the body parts most affected are the mouth and lungs. Problems can show up with cold sores, tooth problems like cavities, bleeding gums or root canals. It could also show up in the lungs such as problems with breathing or frequent respiratory infections or chronic cough. This corner of your home should be free of excessive water elements or fire. When those are present, health problems could be frequent. Bolster both the mouth and lungs by adding more metal to the west corner of your home or living room. A pendulum clock or moving metal is great for keeping these problems at bay.